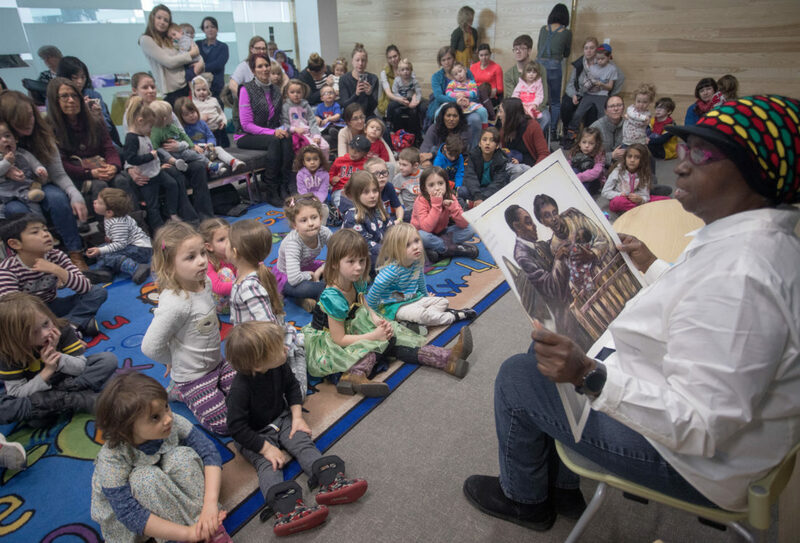 Brenda Nuñez, of Lawrence, reads to children from the book “Happy Birthday, Martin Luther King Jr.” during a Martin Luther King Jr. storytime at the Lawrence Public Library, Monday, Jan. 21, 2019. 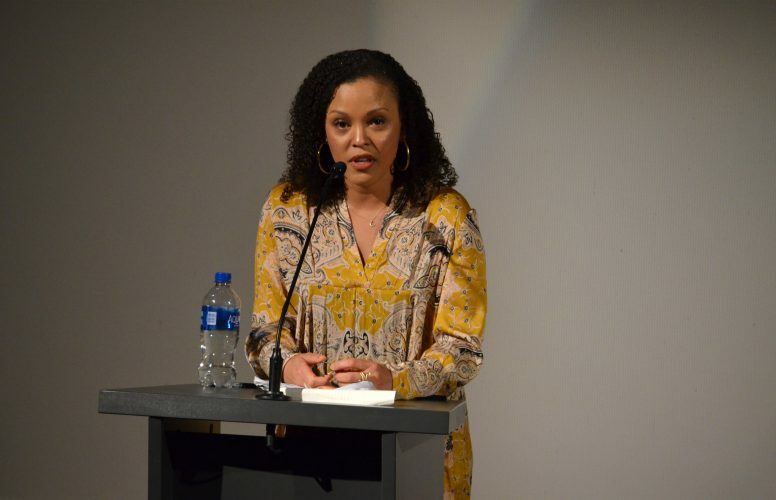 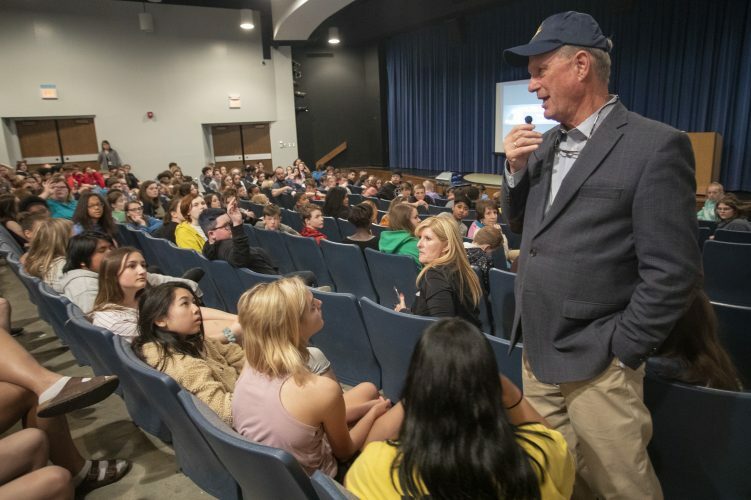 The Lawrence Public Library honored the life and legacy of Martin Luther King Jr., Monday, Jan. 21, 2019, with a day of events and activities, including a storytime with Lawrence resident Brenda Nuñez. 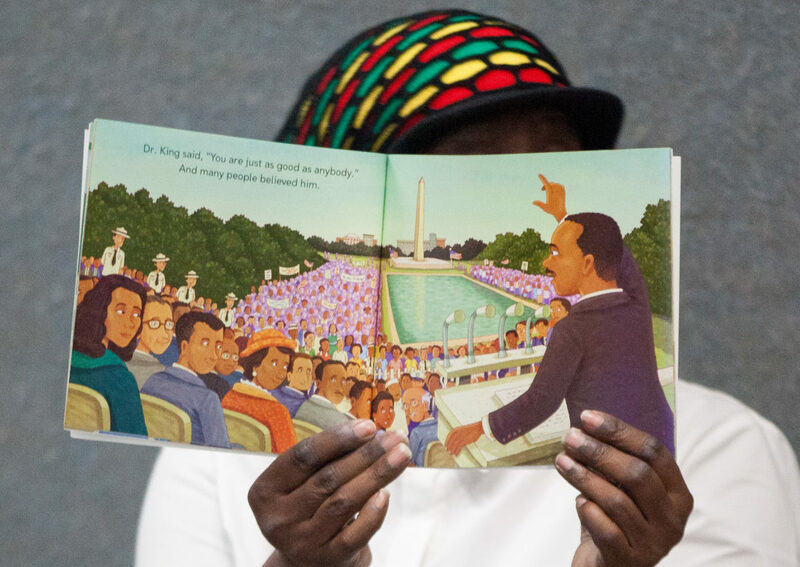 Brenda Nuñez, of Lawrence, holds up a book to show children the pictures while reading about Martin Luther King Jr. during storytime at the Lawrence Public Library, Monday, Jan. 21, 2019. 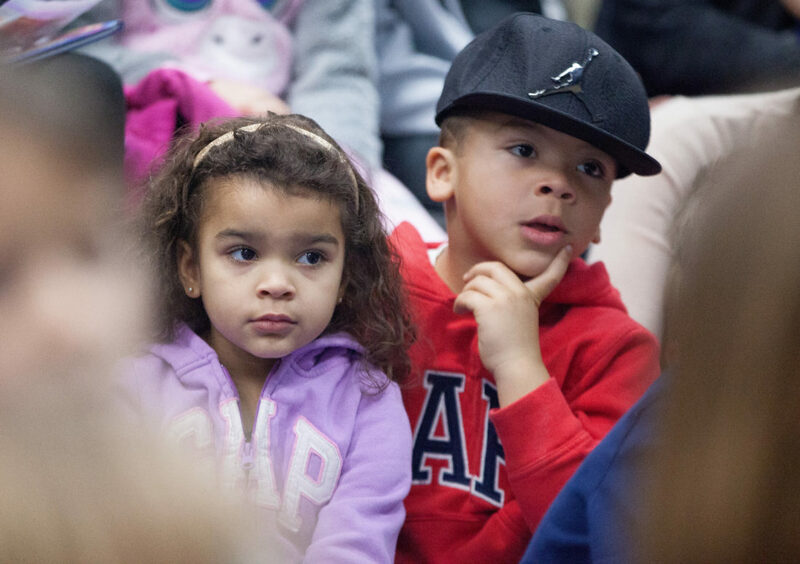 Children listen to a story about Martin Luther King Jr. read by Brenda Nuñez, of Lawrence, during storytime at the Lawrence Public Library, Monday, Jan. 21, 2019. 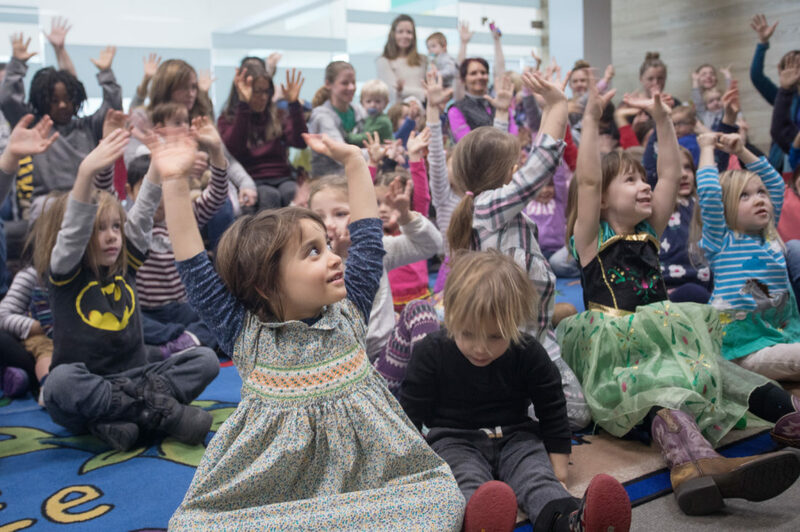 Children and their parents sing a song during a Martin Luther King Jr. storytime at the Lawrence Public Library Monday, Jan. 21, 2019. 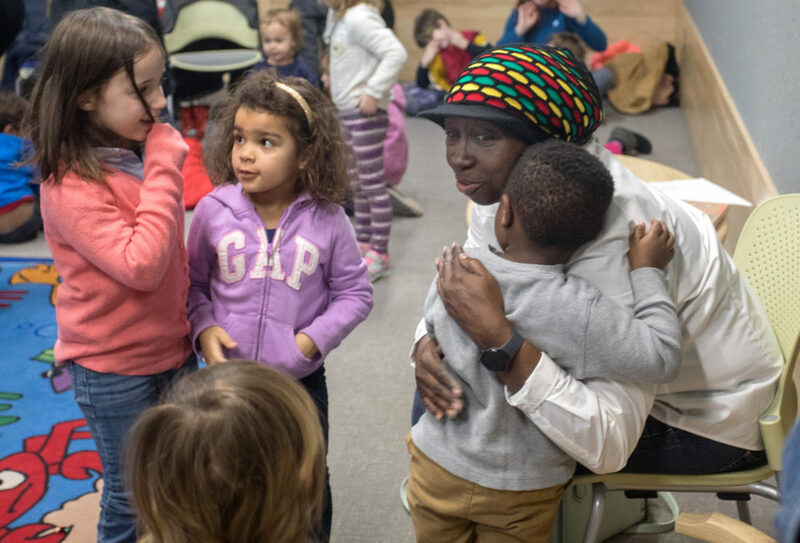 Children line up to hug Brenda Nuñez, of Lawrence, after she read from books about Martin Luther King Jr. during storytime at the Lawrence Public Library, Monday, Jan. 21, 2019. 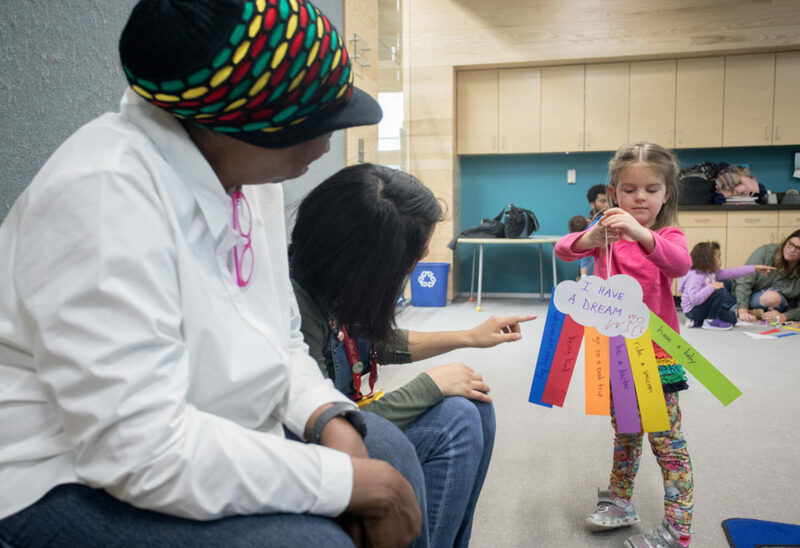 A young girl shows Brenda Nuñez, left, and a librarian her rainbow of dreams that she created after Nuñez read stories about Martin Luther King Jr. during the library’s storytime Monday, Jan. 21, 2019, at the Lawrence Public Library.